“My mom is dying—can you make her feel better?” Lilly had freckles speckled across her cheeks and huge blue eyes as she innocently asked me this question. I was speechless, and could do no more than stare at her. I wasn’t prepared for such a question from a six-year-old. At 28 years old, Jennifer is a beautiful young mom with stage IV ovarian cancer, diagnosed only six months ago. Following initial surgery, it was determined that her cancer was far too advanced for her to benefit from chemo or radiation treatment. She was given three months to live. Even though she has beaten the odds thus far, it isn’t looking good for her to be with Lilly for Christmas. But Lilly knew her mom was going to Heaven—they had talked openly about her soon being with Jesus in a wonderful place. They took much of what they knew about Heaven from Randy Alcorn’s book, Heaven, which I highly recommend without reservation. Scripture tells us a great deal about the eternal home awaiting those saved by Grace, and Randy’s book is an excellent index of this information. Jennifer wasn’t in my office for pain medication or anything concerning her cancer—she had a sinus infection. I was able to help her with that, but I also knew I probably would never see her again. But Lilly understood a wonderful truth from her mom. It was a great gift from a mother who couldn’t remain with the daughter she loved so dearly. 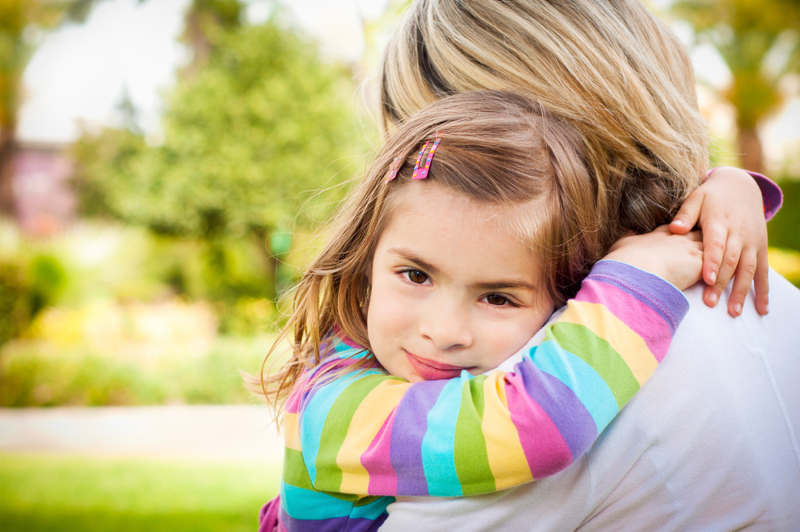 Lilly knew in her heart that her mom wasn’t going to be gone from her forever—she would see her again. As they left my office, Lilly’s final words caused me to go to my office to collect my emotions for a moment. She turned to me and said, “I’m going to make my mommy proud.” And gave me a big smile. We need our children to know that we will be there on the other side. They need to know now, no matter what their age may be. My kids are grown, but they knew without a doubt that when their mom died, she was immediately in the presence of Jesus in paradise. What greater comfort could there be than to know your parents, your spouse and your children will be there on the other side? Gwen went ahead of me, but she left me with a perfect gift—she is there in the presence of the Lord, and will never experience pain again. May we all leave our children and loved ones with such a gift. P.S. Since writing this story, Jennifer went to be with the Lord. Her legacy will live on forever, and her daughter has already made her proud. Previous: DID YOU SAY … EMOTIONALLY ENGAGED? !